I recently created a Market Update graphic that I shared on Instagram and since then I’ve received a lot of DM’s about HOW I created it. The easiest way for me to share that know how would be through a video tutorial. So here it goes! Have you ever considered hiring someone to manage your social media content marketing strategy? I’m a big fan of outsourcing, especially for tasks that aren’t one of my strong suits. I was excited to connect with Tina Balais, from Paradox Marketing, to have a conversation about social media marketing for real estate agents. She’s a Canada based marketing agency, but she’s able to help clients nationally. We have a great conversation about Instagram – what works and what doesn’t work for real estate agents. Ever since I was 7-years-old I dreamt of becoming a professional photographer. By the age of twenty-four I had a thriving photography business that was headed on the path I had always hoped for. I was my own boss, and I couldn’t have been happier! During the slower months of the year I focused on helping small business owners build their own websites and photograph e-commerce images. This led to me being offered a full-time job at an award-winning makeup company in Manhattan. Sounds amazing, right? Well things got tricky from there. It was my first corporate experience – not to mention my first time being on a salary. I had no idea how demanding it would be to juggle a full-time job as a Multimedia Producer for a multimillion dollar grossing beauty brand, while simultaneously running a photography business. As the universe would have it, my busiest and most successful year in photography happened the same year I was promoted…enter ROCK BOTTOM. The corporate environment wasn’t my cup of tea, and the heavy demands juggling so many photography clients was beginning to take a major toll on my mental and emotional health. I just couldn’t do it anymore. I wasn’t enjoying the photography, and I wasn’t enjoying corporate life. What was I going to do? I worked so hard to make this dream come true and it turned out it wasn’t what I had hoped it would be? Naive, I agree…but something crazy happened next. My personal life took a turn. I came out to my best-friend of almost 8 years (at the time) that I was madly in love with him. Turns out…he was in love with me too! Can you take a guess what happened next? Well, he’s a real estate Broker. As our romantic relationship developed, I also began to see what the business side of things looked like for a real estate agent. One day, I jokingly said that I was going to get my real estate license. That little side joke turned into a real thought. A few days later I signed up for an online 75-hour real estate licensing course and BOOM! The crazy journey began. I quit my corporate job, negotiated to go freelance in order to earn a transitional income, closed my photography business, and focused on developing my skills as a real estate agent! 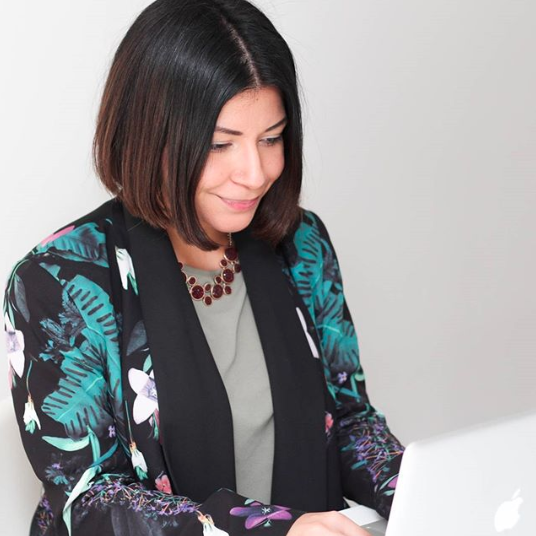 Slowly I began to find opportunities for myself, and my boyfriend’s brokerage, where my specific skillset could help increase business tenfold. Like a fairy-tale power couple would, we became business partners, revamped the brand, and built an awesome real estate team in Queens, NY. It was all an unexpected twist of fate that has brought me to a place of true freedom, happiness, massive growth and so much opportunity. In this video I cover strategies real estate agents can use in order to generate leads on social media, for free, for their real estate business. These tips apply to any business, but they're super useful for real estate professionals. Are you on instagram? I’d love to connect! In this video I cover the 5 most common reasons real estate agent’s Facebook Ads can fail to bring positive results. As someone who has run ads within all kinds of budgets and ad types, I’ve learned what has worked well, and what….well…doesn’t! Have you tried running a Facebook Ad for your real estate business? Do you struggle trying to come up with what to post and figuring out how to get people to engage with your real estate business? In this video, I cover 5 ways (plus a bonus tip) on how I never stress about social media and have a growing audience daily!